Elizabeth intentionally created a business that fits the lifestyle she wants to live. 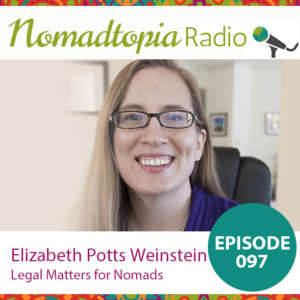 As a location-independent lawyer for small businesses, she manages a remote team and takes lots of road trips. Signing contracts online, terms and conditions, etc. Leave a comment below, or continue the conversation in the Nomadtopia Community on Facebook.